We will normally deliver your standard Whitewood or American White Oak staircase in 7 to 10 days from receipt of signed design drawing. Any other hardwood staircase, including cut string, open rise, or with ones with special parts are usually delivered within 3 to 4 weeks. When a staircase arrives from Pear Stairs, the winder on the staircase has been disassembled. The straight legs of our staircase remain assembled. This will allow you to manoeuvre the staircase through the front door to its correct position. Hardwood staircases are bubble wrapped and all parts are labelled with house/plot number. Packages are numbered and a corresponding check sheet is provided. 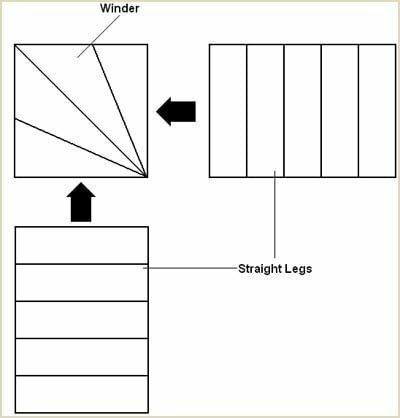 Softwood staircases are wrapped in polyethene and all parts are labelled with house/plot number. Packages are numbered and a corresponding check sheet is provided. Hardwood Staircases are wrapped in bubble wrap. Softwood Staircases are wrapped in polyethene. 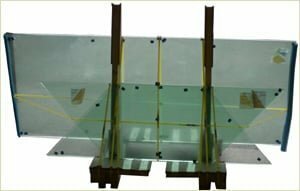 Glass panels for the rake of the staircase are usually delivered with the staircase. The glass landing panels are delivered after the staircase is fitted so that glass panel sizes can be checked on site. A member of staff will contact you, normally the day before, to inform you of our delivery arrangements. They will check the delivery address and ensure that there will be someone on site to receive the staircase. The staircase will be delivered in a 7½ tonne rigid vehicle or a van. We do not use articulated lorries. Please inform us if it is necessary for a van to be used because of access. 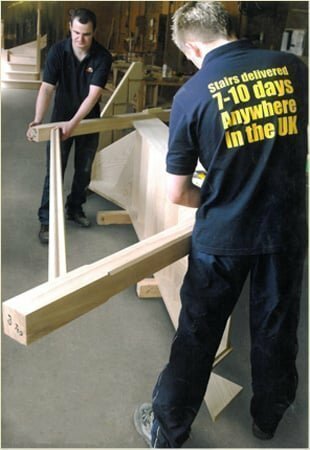 If it is not possible for you to take your staircase when it is ready, we can normally re-schedule a delivery within 7 days. 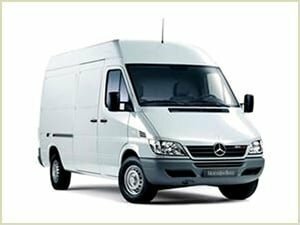 Staircases may be delivered in a van similar to the one below. Staircases may be delivered in a 7½ tonne rigid vehicle similar to the one below. 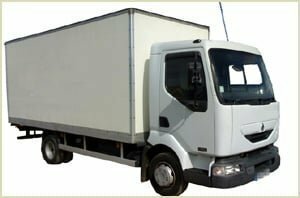 The delivery vehicle will be single manned and it is advisable to have someone on site to aid with the unloading of the staircase. In most cases, the driver and one other person can manage. 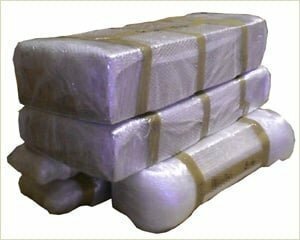 Stairparts that are ordered through our online shop are normally delivered within 7 to 10 days, however in some cases, the delivery is 3 to 5 days. We can now offer delivery of 2-3 working days for all Richard Burbidge Staircase Parts (excludes some of the Heritage Range, where lead times can be up to 4 weeks). Stair parts are delivered through a courier network and delivery time can be anytime between 8am and 5pm. If an AM time is required we can cater for that, but it is a premium cost. 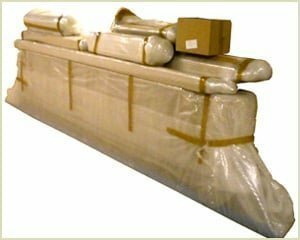 Stair parts are normally delivered within 7 to 10 days, however in some cases, the delivery is just 3 to 5 days. 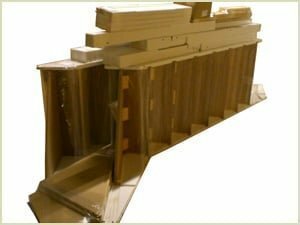 We believe Pear Stairs offers the best delivery of staircases or staircase parts anywhere in the U.K.
Pear Stairs sell a number of products to finish your staircase. Remember if you have any questions don't hesitate to phone us. We are a friendly company, phone us on 01938 553311.